Hide deals from seller "Chapas Upholstery"
Hide deals from category "Auto Parts & Accessories"
Road trips with the family are fun — unless you are sharing a seat with five siblings and a water cooler. 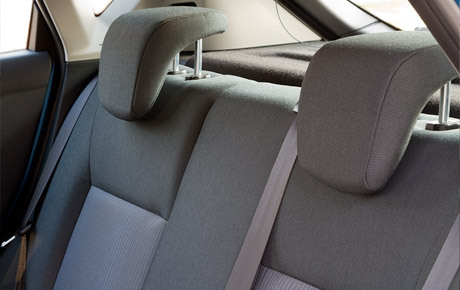 Keep your summer drives comfy with 50% off a complete seat repair for domestic cars from Chapas Upholstery in Hammond ($220). The seat repair includes foam replacement and reattachment of springs for both vinyl and cloth seats. After working in the industry for 10 years, Armando Rojas opened Chapas Upholstery to continue providing his excellent service and craftsmanship to the community. Chapas offers complete auto and marine interior repairs and replacements. They offer a comprehensive range of services, from custom upgrades to specialized motorcycle seats and stereo installation. Don't sink into your seats this summer with this Independence Day deal. Upholstery specialists offering complete auto and marine interior repairs and replacements in Hammond.